Take a moment to think about the last time you felt really happy. What did you see in front of you and hear around you? What were you wearing? What thoughts were going thru your mind? Close your eyes and soak in this moment. See what you saw. Hear what you heard. Feel what you felt. Imagine waking up every single day, feeling that same exhilaration, enthusiasm and delight. Visualize exuding complete confidence that strangers comment on your glow. Feel the hairs on your neck stand up as you attract every single thing you’ve ever desired in your life -- the significant other, the money, the fulfillment, the wardrobe, the haven that is your home, the peace of mind, etc. Envision what it would feel like to be deliciously aligned with the highest version of yourself: the way you walk, talk, dress, dream and show up in the world. Bask in the delight of taking complete ownership over your life and creating the outcomes and results you actually want to see in your life. I distinctly remember what it felt like to daydream about the life I now have. I’d sit at my desk, staring into the spinning wheel of Excel death as my financial model eventually crashed, losing all the updates I had just made. I worked sun up to sun down 7 days a week for almost two years. I secretly struggled with Ulcerative Colitis and the burning desire to have a baby. I’d read self-help books and blogs in my spare time and wonder how I could change my life like Gabrielle Bernstein and Cara Alwill Leyba did. I would imagine myself working with my coaching clients, helping them take center stage. I would envision my e-course launches and putting the finishing touches on my first book. I’d visualize receiving e-mails from readers on the other side of the world, thanking me for helping them to think differently about their lives. I would daydream about chasing my daughter around the house and falling down into a fit of giggles. I saw myself resting and relaxing whenever I felt the urge because I had created a life of my own choosing. I saw myself looking at my bank account and seeing money flow effortlessly into my account. I envisioned myself in perfect, radiant health. I am overcome by tears as I write this because every single thing that I visualized came true. where I share with you the step-by-step system I used to change my life. I also teach you about autopilot thoughts and I expose two major obstacles that can stop you dead in your tracks. When you sign up today, you'll also be opted into my newsletter, where I share with you helpful tips, blog posts, upcoming events, courses and workshops. You can unsubscribe at any time. I truly believe that you have what it takes inside of you to create a gorgeous life that makes you jump out of bed every morning with enthusiasm and joy. I want to show the way. Are you ready? In part one of this FREE e-mail series, I walk you through the 4 step process I used to change my life. You'll learn each step that I took, so that you can implement the process into your own life. It’s time to show up for yourself and change your life for the better. WHAT ARE AUTOPILOT THOUGHTS AND WHY ARE THEY SO DARN IMPORTANT? In part two of this FREE e-mail series, I teach you everything you never knew you wanted to know about autopilot thoughts: what they are, how they're formed and how you can change them. 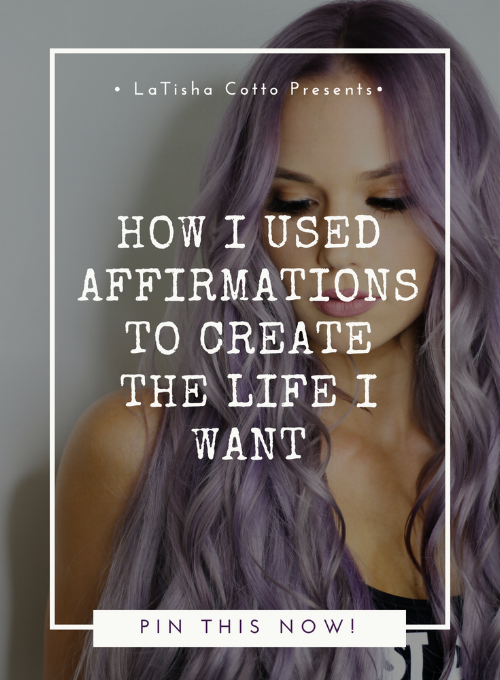 They are a major part of changing your life through affirmations. In the final installment of this FREE e-mail series, I share with you two powerful obstacles that can you take you out of the game before you've made lasting change in your life. I teach you how to reframe your experience with affirmations so that you can overcome these blocks.